The mainstream wheel of the fragrance industry is forever a turning, it seems. For my last two Escentual columns I’ve focused on some scents that I would categorise as nicely done, without being groundbreaking (which, not every single fragrances has to be). 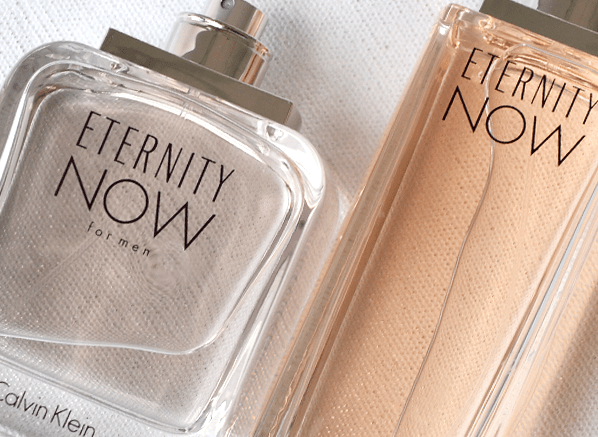 Firstly we have the new Eternity Now duo from Calvin Klein, which consists of a sticky tropical fougére with industrial undertones for him, and a peach bubble bath for her. Check out my review of the duo here. Secondly, there is the new Eau de Cédre from Armani, a soft and supple citrus-woodsy thing that is inspired by a velvet jacket. Click here for my review. Image via Escentual. Samples of CK Eternity Now For Him & For Her via Calvin Klein. Sample of Armani Eau d Cédre via Escentual. I write for Escentual as their Fragrance Expert. My views are my own. Posted in Armani, Calvin Klein, Escentual, Perfume Reviews and tagged Armani, Calvin Klein, Eau de Cedre, Escentual, Eternity Now, Fragrance, Perfume, Perfume Review. Bookmark the permalink. I’ve never considered CK too much for perfumes before, but wow, thanks for sharing on this! I just made a post about a perfume review as well, do check it out if you can and I hope to see you around! You’re welcome and you will!